If you need a new roof, there are plenty of options on the market, but a metal roof replacement gives you more than the other materials. You can choose from a variety of types of metals and get the longevity along with the beautiful look you want. 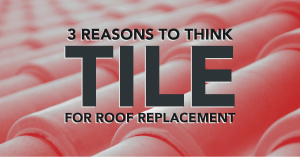 Here are just a few reasons why metal roof replacement takes so little maintenance over its years of service. 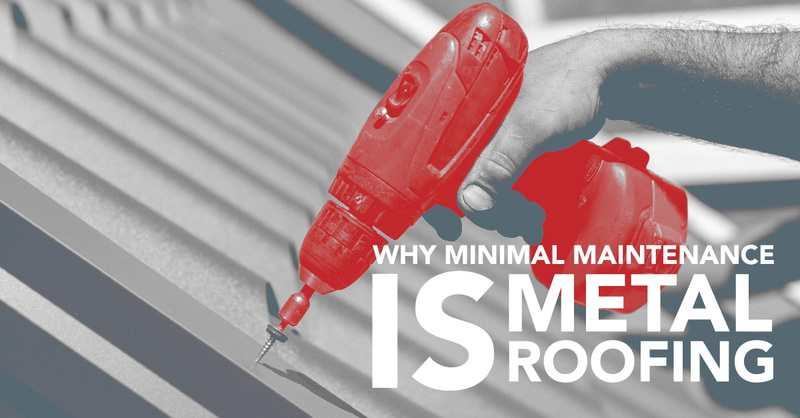 Metal roof replacement can last anywhere from 40-70 years. A lot of that depends on the exact material you end up with, of course. Regular roofing materials last anywhere from 12-30 years. You can tell by longevity alone why these roofs need much less maintenance. Iowa has been known to get some pretty nasty storms, but metal roof replacement can withstand wind that blows up to 140 mph. So even if you have a bad storm, you’re less likely to need post-storm maintenance. And they won’t crack or corrode, either. They’re often impact resistant and just don’t need as much periodic maintenance that other materials require. You want a roofing system that will give your home more energy efficiency. Since metal roofs reflect solar radiant heat, you get that from them. They don’t ever taper off in their resistance to this heat so you don’t have to do anything to maintain the cost reduction inside your home. Metal roof replacement incorporates recycled content and they are recyclable at the end of their very long life. They’re also friendly because you don’t have to do anything to maintain them, which means no wasted materials, and you don’t have to replace them nearly as soon. There are going to be positives and negatives to any roofing system you choose and only you can decide which is right for your home. But it’s always nice to know that with metal roofing replacement, you get minimal maintenance projects for their whole long life. 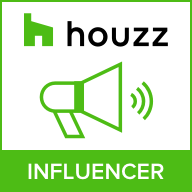 Who needs more to do on their home? 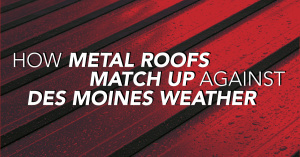 If you’re interested in a metal roof replacement or want to find out more about the process, contact Van Weelden Company of Des Moines, Iowa. We know just what Iowa winters and summers can do to a roof and we want the best for you. Let us help you reach an informed decision every step of the way!